Sounds funny doesn’t it? For the most of us though, moving can be quite annoying and inconvenient. But if done right and in systematic manner, moving can be a breeze. 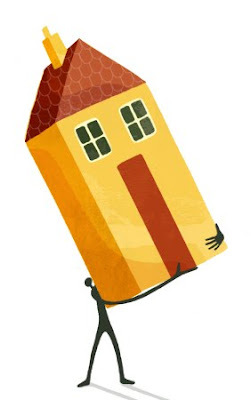 Below are a few simple tips to follow before moving from one house to another. 1) Hire professional movers and packers like Storage In Abu Dhabi. Professional movers and removal specialists bring in their expertise and knowledge and make the shifting and packing process safer and easier. 2) One can also opt for storage facilities in Abu Dhabi like Storage In Abu Dhabi incase the new house you are moving to is getting prepared and the furniture needs t be stored in a safe and secure place temporarily. 3) Make sure your family travels with you and together. You can arranging for transportation which will help you concentrate on the things you need to. 4) Remember to change the address of all your subscriptions as well as your utility and communication providers well in advance. 5) Do not forget to check with the local utility and communications companies to ensure complete connectivity after moving in. 6) Always keep your jewelry, expensive possessions, important documents and some extra cash with you when in transit. 7) Last but not the least, ensure that all items have been moved in before your family can, to avoid any accidents. Storage in Abu Dhabi offers the best value in moving services in Abu Dhabi. They also include packaging, transport and document/inventory management along with personal commercial and vehicle storage solutions in Abu Dhabi.